After years of working as the local Member, it was a great pleasure to join my colleague, Health Minister Michael Ferguson, to officially open the Glenorchy Health Centre, which provides care for Tasmanians in Hobart’s northern suburbs, Brighton, Derwent Valley, Southern Midlands and Central Highlands. The $21 million Centre has been a massive boost for our local community, with 21,000 appointments already completed in its first six months of operation! About 150 patients receive consultations daily in allied and community health, including adult dental, and those numbers are increasing. 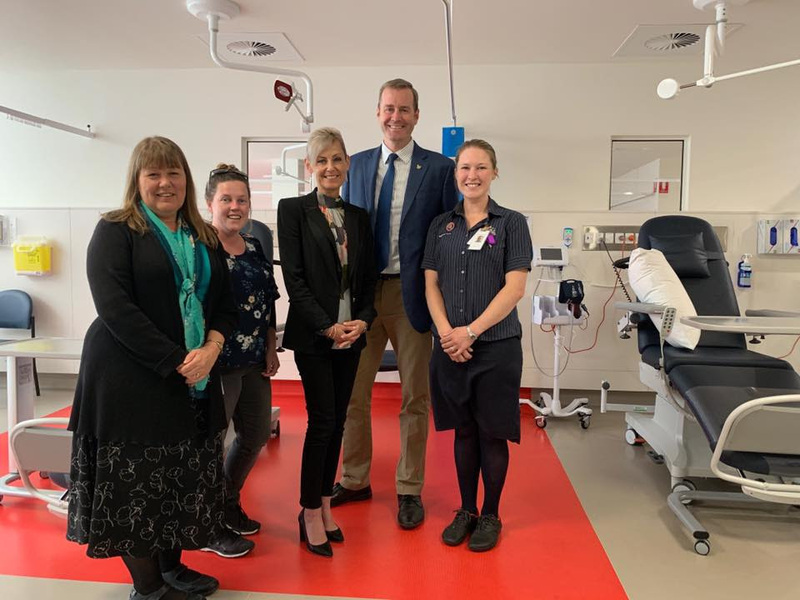 Not only does the centre provide vital in-community care for thousands of Tasmanians, it also takes pressure off our hospitals, especially the Royal Hobart Hospital.